Britt Man Fined $2,000 for Illegal Use of Crown Land. 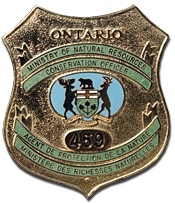 A resident of Britt, Ontario, has been fined $2,000 for offences involving the deposit of materials and debris on Crown land. Ronald Boucher was convicted for unlawfully occupying Crown property adjacent to his own along the Magnetawan River in Wallbridge Township. The court heard that an investigation by a Ministry of Natural Resources conservation officer determined that Boucher stored vehicles, other property and debris on Crown land adjacent to his property. He was offered the opportunity to retrieve these items, but after six months had failed to do so, resulting in the fine of $2,000. In addition, he was ordered to reimburse $1,300 in costs incurred by the ministry, to remove his property and to return the land to its original condition within 60 days. Justice of the Peace Patricia Tenant heard the case in the Ontario Court of Justice, Parry Sound, on July 30, 2013. ← Aggregate Operators Fined $33,000 for Unlicensed Quarries.